These famous opening lines lead the reader into one of the world's most popular gothic suspense novels, Rebecca. 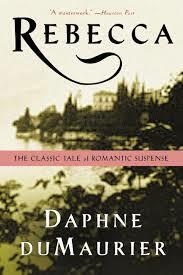 Written by Daphne DuMaurier in 1938, the book took the world by storm. Alfred Hitchcock made the novel into the Academy Award winning Best Picture of 1940. I saw the film in all its' black and white glory recently; the ominous undercurrent, the tremor of fear discernable in Joan Fontaine's voice, so overwhelmed by the powerful presence of Rebecca's memory; the dreadful Mrs. Danvers and that creepy reveal of the first Mrs. De Winter's perfectly preserved bedroom; it all holds up. Laurence Olivier was nominated as the haunted widower, Maximillian De Winter, as was Fontaine and Dame Judith Anderson for her give-you-goosebumps portrayal of Danvers. While Hitchcock was nominated for Best Director, he would have to be satisfied with its Best Picture status. 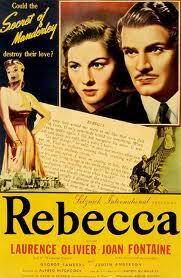 Watch the trailer for Rebecca, Alfred Hitchcock's masterpiece, below. Now, Dreamworks has decided to tackle a remake and has hired writer/director Nikolaj Arcel to helm it. Arcel co-wrote the script for the original Swedish The Girl with the Dragon Tattoo; it's possible he'll give the script, written by Steven Wright, a quick polish. Arcel directed last year's A Royal Affair, a nominee for best foreign language film. He's also got an adaptation of The Power of the Dog in the works. It's another drug war-based story from Savages author, Don Winslow. As much as I love the original, I welcome Arcel's attempt to retell Rebecca if only because so few of today's movie goers have had an opportunity to see - or ever will see - the 1940's classic. It's available on blu-ray, and I'm thrilled that's available - but it's not the big screen cinematic viewing the film, the original at least, deserves. Casting questions are already running through my head; whom among our working body of female actors could give Fontaine a run for her money? Hard to believe but Fontaine, born in 1917, was only 23 at the time! Fontaine, like many of the stars of yesteryear exuded an elegance and an air of mystery that many of our younger stars just don't have. This is going to be a huge, prime role for one lucky young woman ... the question is who? My first inclination, as always as of late, is Jessica Chastain but the woman can't do everything so, who else? Take a peek at the trailer and see who you think fit the bill. Do you need the maturity of leads in their 30's - like Chastain, Amy Adams, Emily Blunt - to pull off the 2nd Mrs. De Winter? "It's no wonder that the woman who becomes the second Mrs. de Winter (whose first name we never learn) eagerly accepts Maxim de Winter's offer of matrimony. She's young, orphaned, and employed as companion to a mean-spirited fading beauty. The handsome widower simply sweeps her off her feet. In a matter of days, the new bride accompanies her seemingly devoted husband to Manderley, his isolated home on the Cornish coast. From the first, the sinister housekeeper, Mrs. Danvers, frightens the new bride with her chilling devotion to the dead first Mrs. de Winter, Rebecca. And, all to soon, the second Mrs. de Winter realizes that Maxim married her for her youth and warmth, hoping to use her as a shield against Rebecca's malignant presence -- a lingering evil that threatens to destroy them both from beyond the grave." Remaking a Hitchcock film is such a risk. I hope it's great though. I figured you'd go for Jennifer Lawrence as the lead.